BOSTON, Mass. 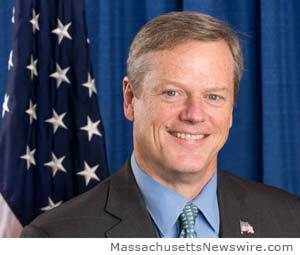 /Massachusetts Newswire/ — On Wednesday, the Baker-Polito Administration filed a budget proposal with the Legislature for Fiscal Year 2016 that right-sizes state government and fuels economic growth across the Commonwealth. The budget recommendations include increased investments in local aid, education, homelessness and reliable transportation, while instituting reforms to curb overall spending, and holds the line on new taxes and fees. Since day one, the administration has focused on crafting an economic environment suitable for long-term sustainability and growth, starting with steps to ease the burdens placed on our families and businesses. •Swift action to address a $768 million inherited budget deficit without drawing from the stabilization fund, new taxes, fees or cuts to the Department of Children and Families and local aid. ◾No new or increased taxes or fees. ◾An Executive Branch-wide hiring freeze saving tens of millions of dollars. •Taking steps to double the Earned Income Tax Credit (EITC), allowing the hardworking people of Massachusetts to keep more of their income to support their families. ◾Increasing the EITC from 15% to 30% of the federal limit by phasing out the Film Tax Credit over two years. •Announced an ‘End Family Homelessness Reserve Fund’ allocating $20 million to reorganize the state’s approach around prevention, shorten the length of shelter stays through the Executive Office of Health and Human Services and reduce the use of hotels and motels for Emergency Assistance. ◾The Department of Health will see a $2 million increase for homelessness support services. ◾Short-term housing assistance will see a $1.5 million increase through the HomeBASE program. The administration’s Fiscal Year 2016 budget makes significant investments in local aid, education, transportation and our Gateway Cities to provide a catalyst that strengthens our communities and allows our businesses to grow. •Fulfilling pledge to protect and increase unrestricted local aid by 3.6% to $980 million, based on conservative Gaming and Lottery revenue growths. This increase also fulfills the administration’s commitment to boost local aid by 75% of projected revenue growth. •Investment in the administration’s newly-crafted Community Compact Cabinet, led by Lt. Governor Polito, to enhance the state’s partnership with our cities and towns. •Launched a Workforce Skills Gap Cabinet in effort to get workers the skills they need to compete for the jobs of Massachusetts’ future. •Increase of $105.3 million in Chapter 70 education funding, including a minimum of at least $20 per pupil to all 321 school districts for a total of $4.5 billion. •Consolidating 11 Partnership Schools Network programs into one streamlined and more effective grant program for underperforming schools. •A restoration of $1.2 million for METCO programming. •$1.5 million to improve early education and care licensing, including the use of hand-held devices for real-time, on-site data entry. •An average 3% increase to higher education campuses, including the University of Massachusetts system, state universities and community colleges. •An overall increase in transportation funding by $109 million, or 20%. •A 53% increase over Fiscal Year 2015 in direct aid to the MBTA, from $122.5 million to $187 million for operational improvements. •Aligning the snow and ice budget closer to the five-year average, including expected federal reimbursements in the wake of this year’s weather, to a total of $72 million. •An MBTA Weather Resiliency Fund to support operating costs, projects and programs in weather-related circumstances. •An increase to the Transformative Development Fund to spur strategic project plans in our Gateway Cities. •Additional funds to promote small business, create jobs and support workforce development in our urban communities. •Funding for specialized training for the law enforcement community to ensure they have the tools they need to more effectively work with our communities. •Increasing the Safe and Successful Youth Initiative and Summer Jobs programs. The Administration proposes a fiscally responsible budget that avoids tax hikes and fee increases, sending a signal that Massachusetts is poised for economic growth and able to efficiently deliver services to our most vulnerable populations. •This year’s budget curbs overall spending that has grown significantly over the last several years and has consistently and unsustainably outpaced revenue growth. ◾Going unchecked, this path would have increased spending by more than $3 billion, or 8%, in Fiscal Year 2016 and created an anticipated deficit of more than $1.8 billion. ◾The administration’s proposal increases spending by 3%, down from 7.8% in FY 15. ◾The Fiscal Year 2016 budget proposal would be the first budget in four cycles to not draw down on the stabilization fund. •The administration’s proposal includes an Early Retirement Incentive Program (ERIP), to operate government more efficiently and avoid across the board layoffs. ◾The ERIP’s would reduce the workforce by 4,500 while limiting the backfilling of open positions to 20% of net savings. ◾With $177.9 million in estimated savings for Fiscal Year 2016, the proposal also responsibly accounts for related increases in the Group Insurance Commission (GIC) and state pension funds. •There is a bipartisan consensus that MassHealth’s growing costs are in need of reform, and the administration’s proposal includes significant changes to curb a projected growth of 16% in Fiscal Year 2016, to 5.6% and at a savings of $1.6 billion, without affecting core benefits or services. ◾Eligibility redeterminations required by the prior failures of the Health Connector site that ensure those who are truly eligible and in need of assistance are receiving those services. ◾A $174 million increase in MassHealth investments including the full implementation of adult dental benefits and Applied Behavioral Analysis services for 10,000 children with autism. ◾A 3% increase to the Department of Children and Families that includes an additional $2.1 million for Family Resource Centers. ◾A pursuit of several much needed reforms including the allowance of bulk purchasing of critical medical equipment and approval of shorter-term drug prescriptions to prevent waste and abuse. ◾Allocated $30 million to resolve litigation and adjust Chapter 257 rates for human service providers, and instituting compliance with Chapter 257 provisions going forward. ◾Additional $300,000 for women’s health care and contraception coverage.